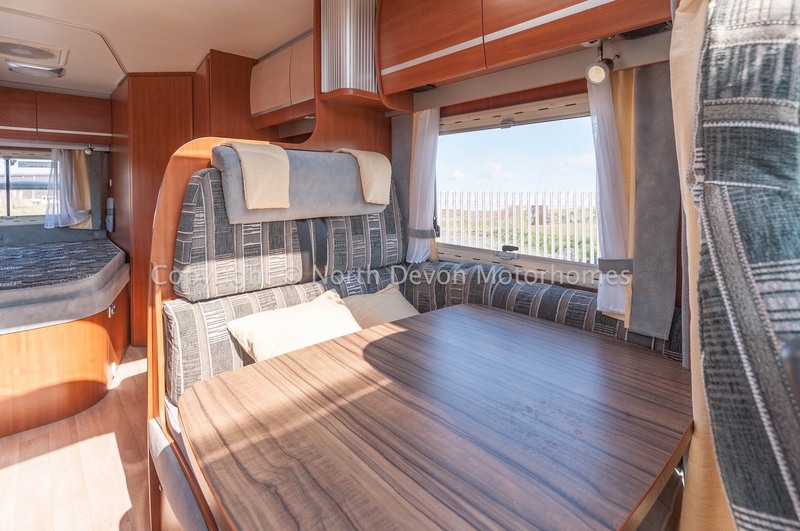 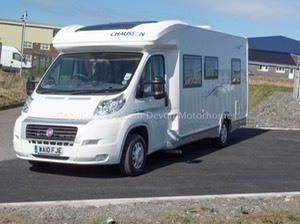 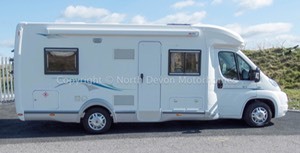 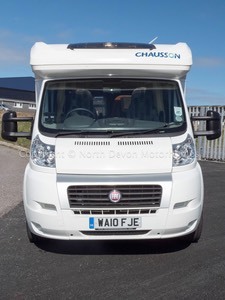 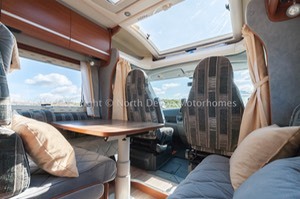 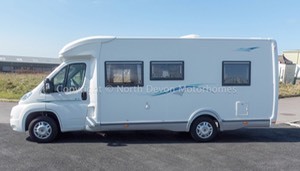 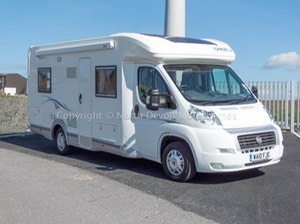 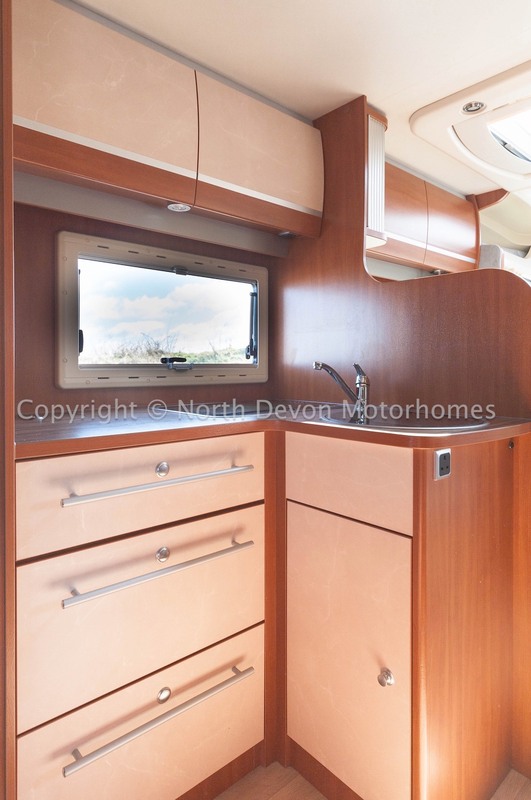 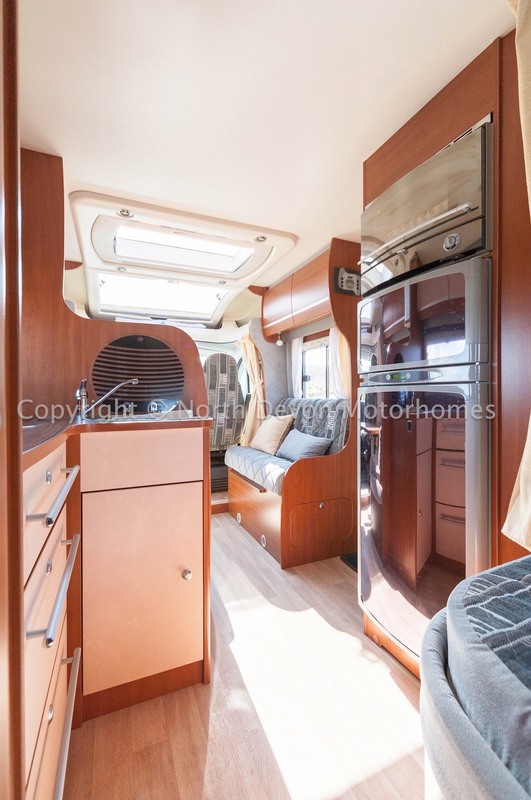 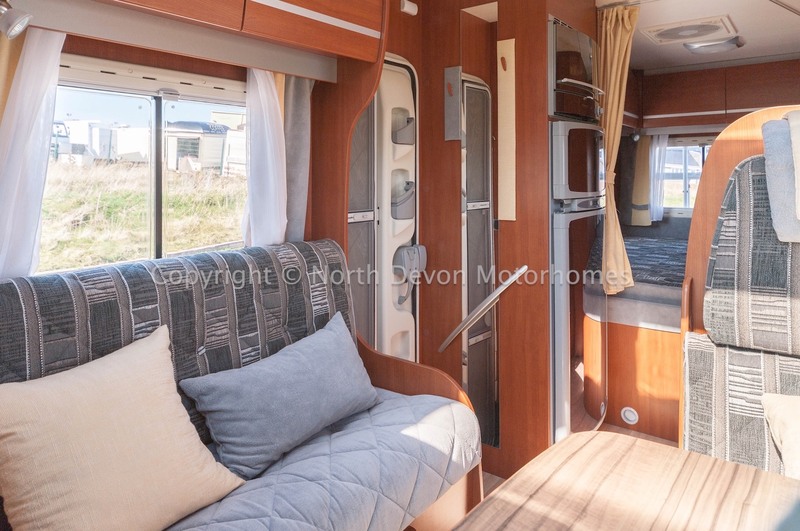 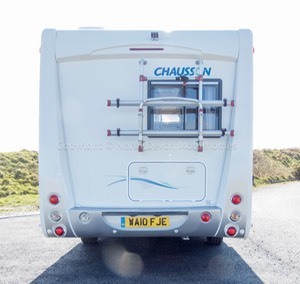 Chausson Welcome 85, 2010, Low Profile, One Owner from new, 7000 miles only, simply lovely throughout, must be seen. 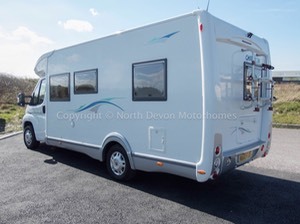 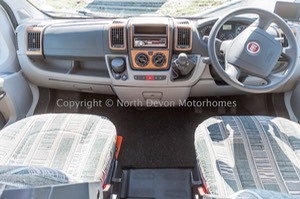 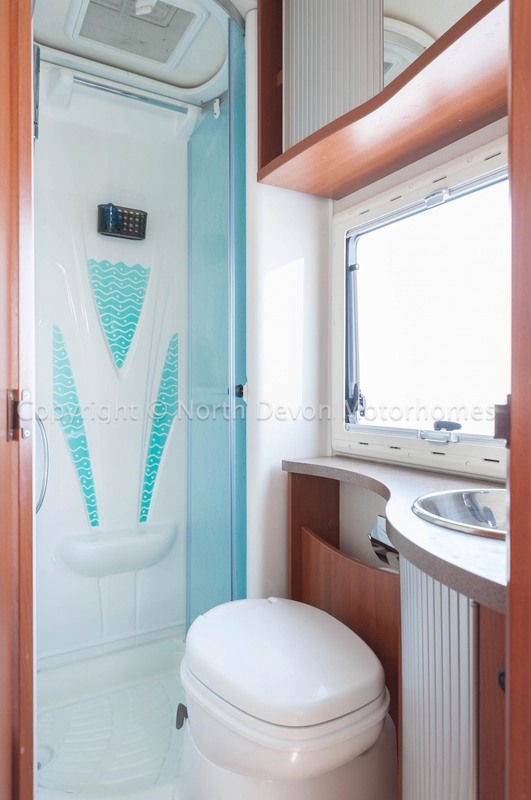 Electric Windows, Electric mirrors, PAS, stereo, Reversing Camera, Drivers and passengers airbags, Cruise control, Air Conditioning, Swivel Captains Seats, Large opening Skylight. 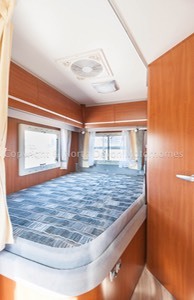 Wraparound privacy curtains and silver screens. 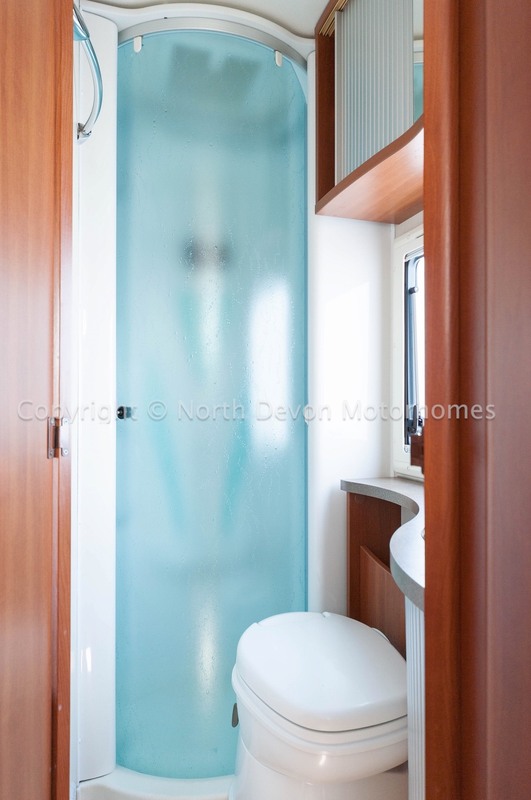 Rear Fixed French bed, corner washroom with seperate shower cubicle, central L shaped kitchen, front L shaped half dinnete with opposing bench seat. 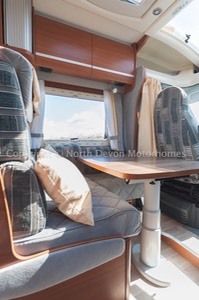 4 travelling seat belts. 2/4, rear fixed French bed, dinnete forms further bed. 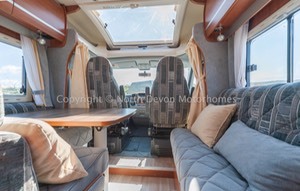 Spacious and versatile seating area, incorporating the cab swivel seats, light and airy with large Heki rooflight, TV station. 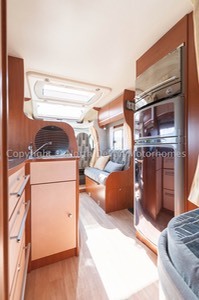 L shaped kitchen, 3 burner gas hob, sink, ample high and low level storage, large fridge with seperate freezer. oven /grill unit. 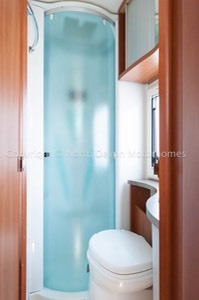 Nice sized washroom with seperate shower, corner wash basin with built in under storage, high level cabinetry with vanity mirror, swivel based toilet, window with nets and blinds, skylight vent with nets, hot air heating point. 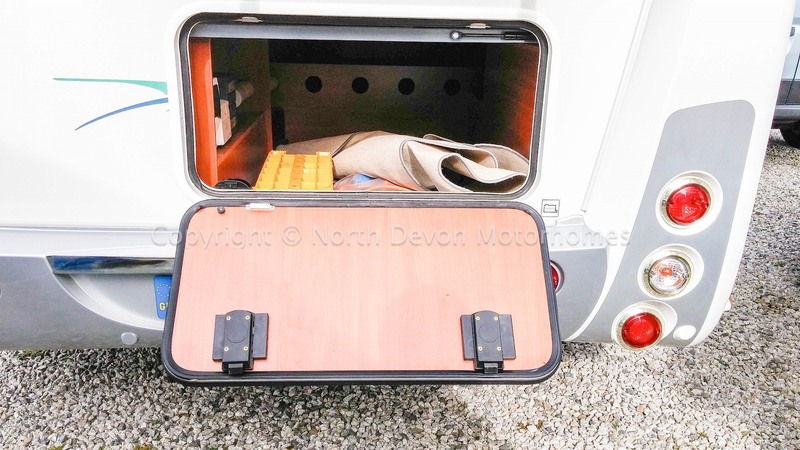 External Storage lockers and large rear ‘Boot’ allowing access to under bed storage. 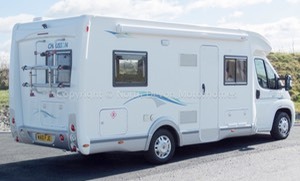 Awning, Reversing Camera, bike rack, TV, silver screens, Removable fitted carpet set.